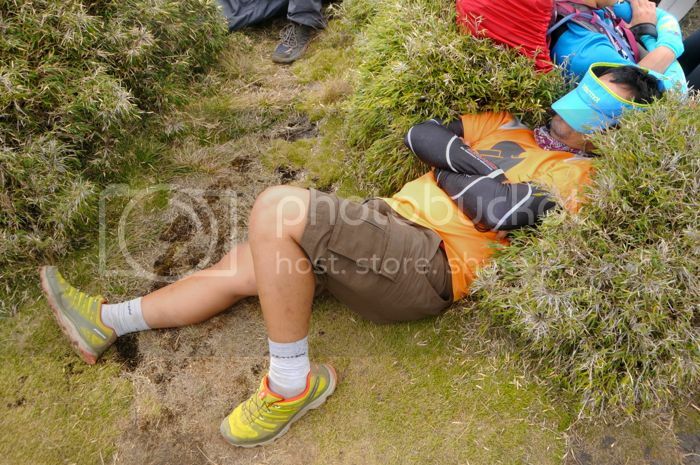 when i heard that another climb to mount pulag was being organized by members of my club, i hesitated. 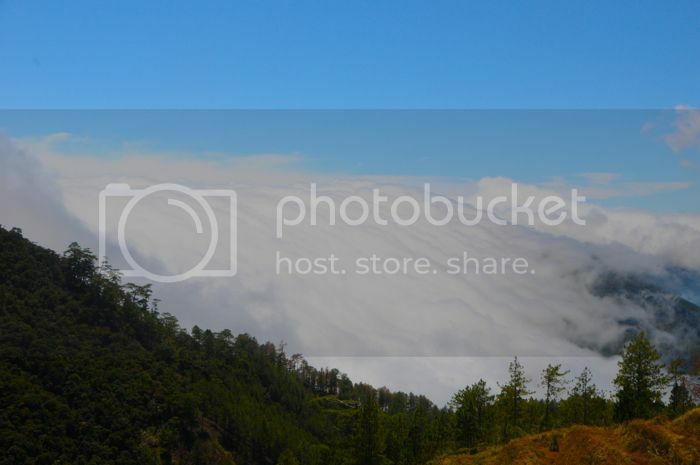 lately, luzon's highest peak has been overrun by overcharging outfitters bringing tourists to the slopes of the mountain, expanding campsites, draining springs, spreading filth, and widening trails. on my last visit to baguio during the long chinese new year weekend, i had to decline a sudden invitation to climb the mountain. this was after i stood in awe and perhaps shock of all the jeepneys loading backpacks onto their roof racks. i would later be told that there were more than 35 of these workhorses ferrying climbers, both experienced and novice, to the jump-offs of what is now the most accessible mountain at altitudes of more than 2,500 MASL. it is difficult to imagine, now that upwards of 200 people, not including guides and porters, make their way to the barren grasslands of the mountain on any given weekend, that there were more than a few instances when no one but ourselves would be marvelling at the unravelling sunrise and the famous but elusive sea of clouds. not that i have any right to exclude anyone from climbing the mountain. that is the job of the protected areas and management bureau (PAMB), headed by PASu emerita albas, who is always excited to see me. but when i feel that the people entrusted with the responsibility to regulate entry to a place that is both sacred and ecologically important, then i feel that it is my duty to speak, to say something, to demand that stricter rules be implemented, for after all, pulag is not only home to the ancient gods of the cordilleras. it is also home to species of flora and fauna in danger of extinction. i have been to pulag 13 times before. i first climbed the mountain in 2003 when i knew nothing about climbing mountains except that i wanted to be out there. this last visit is my 14th. 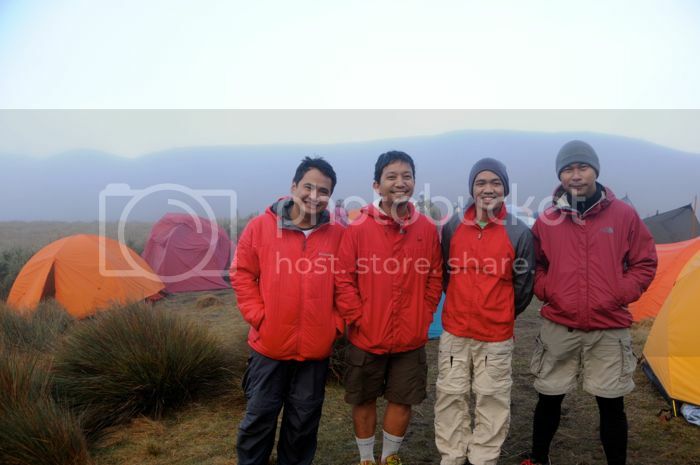 that means that there were years that i was on the slopes of pulag at least twice. i have witnessed, suffered, and enjoyed the mountain's many moods, its ferocity, its generosity, its astounding and endless beauty. 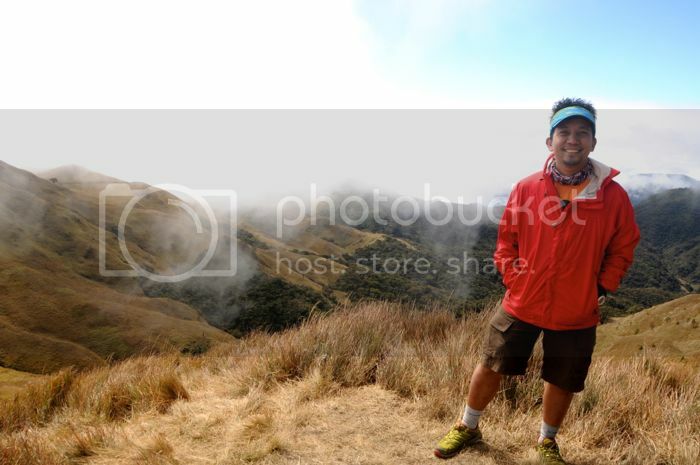 i once said that mount pulag offered great rewards for comparatively less effort. and perhaps that is why it is no longer the serene, seldom-visited mountain that i know. with the road from the DENR to babadak getting paved, more vehicles are able to make the journey. in fact, a baguio-babadak van service is now available. for this climb i was part of a group comprised mostly of AMCI members and more than 10 guests. i was excited by the fact that the organizers were mostly from the latest batch, fresh from their rigorous training, baptized and reared in the ways things are done. so although i had no huge participation in planning the climb, i knew that things would go the way i would normally expect. in fact my expectations were a bit too simple since my group certainly planned to trump all meal plans that had come before it. on paper it sounded very impressive: a creamy broccoli soup from scratch, dry-aged prime rib steak, rice pilaf, mixed vegetables. but in reality, a feast like this can be back-breaking. i had to take my share of the load, along with my own gear, and those for use by the group. after an uneventful bus ride, we were whisked to our jeepneys and left baguio city later than usual. we had breakfast at gina's restaurant, although i would have personally preferred to eat at jang-jang. gina has taken over organizing jeepneys for trips to mount pulag, and she has done such an efficient job at it, because she has a stranglehold over many aspects of the climb. certainly she gets commissions from the drivers, apart from having her own fleet of jeepneys. she has cornered the market for food, serving breakfast and lunch at her roadside restaurant, pre-cooking unimaginative food for the outfitters, and providing a post-climb clean-up area for weary trekkers. each of these cost something, and she certainly understands how to make a profit from the crowds that converge on the mountain. during my last climb to pulag she even asked me if it was my group that went to tawangan, probably upset that we had decided to skip her in organizing the trip. gina is an accommodating entrepreneur. perhaps too accommodating because when one of the outfitters shared that their jeepney was too small for the size of their group, she told us we should switch jeepneys with the folks from trail adventours since they numbered more than us. our TL rapi said we had to transfer our bags, but i protested, saying we didn't agree to this inconvenience, and that it wasn't our fault we were given a more spacious jeepney. she backpedaled immediately and said any transfer would be unnecessary. we skipped the orientation at the DENR, largely through my behest that everyone on the jeep had already seen it. besides, the folks there are familiar with the club. of course this was a stretch of the truth, but with more than 200 people sharing what little campsite space was available, we wanted to be ahead. it was a shorter-than-usual ride to babadak, and it was chaos at the ranger station, which, by the way, had been uprooted from its iconic spot in favor of a larger, more solid structure. too many climbers had arrived ahead of us, and many of them were busy hiring guides and porters. the PAMB cannot be blamed for welcoming tourists to the mountain. those unwilling to be saddled by the weight of a pack provide income for the residents near the jump-off. 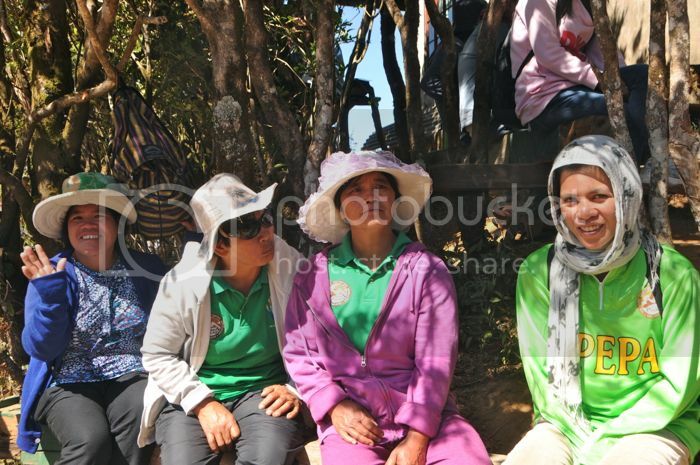 it used to be that there were just a few guides, and even fewer porters, some of whom i knew by face and name. now, every able-bodied male and female, some only recently into their teens, others knocking on their 60s, and willing to carry loads upwards of 15KG, offer their sturdy backs and strong legs to visitors. this process took us at least an hour, and by the time we had started the trek, it was already past 10AM, with the sun beating down relentlessly upon us. 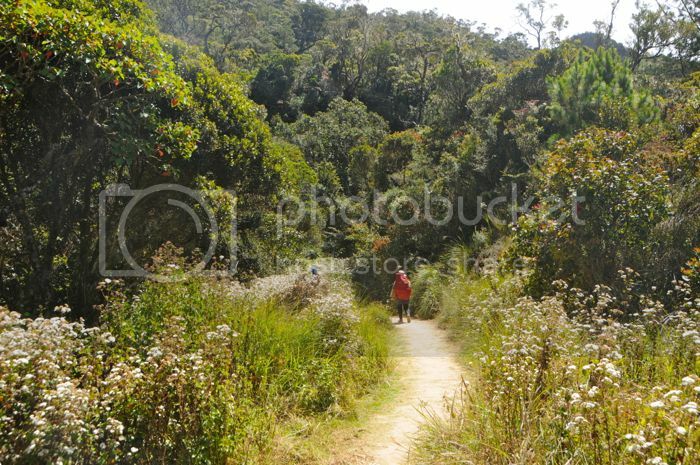 the trail from babadak to the grasslands is gently sloping. 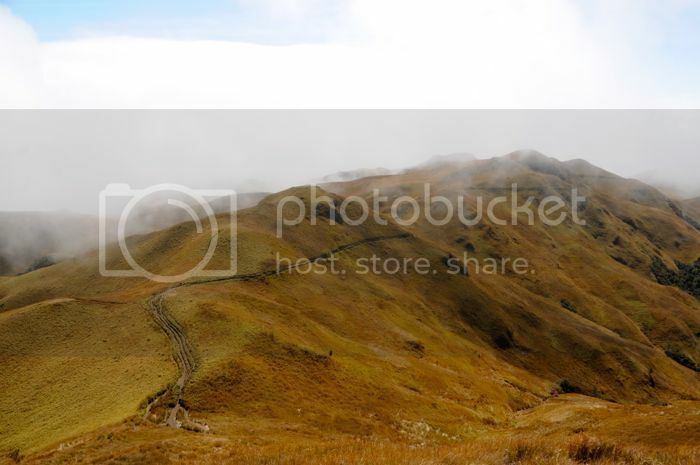 in 2010 i first encountered the "brick road" on pulag. in an effort to maintain the trail, parts that are usually wet or fragile are paved by rocks, creating a more solid surface resistant to erosion, and also possibly reduces damage to the surrounding flora. while the pavement hasn't covered the entire trail, it has certainly expanded, covering nearly half of the 7-kilometer trail from the ranger station all the way to the saddle campsite. there were many people on the trail, and i often confused my own companions with some of them. not a few people were already on their way back. with pulag getting overcrowded on the weekends, some opt to climb when there are less people. i plan to do the same soon. although we had overtaken several groups along the way, by the time we reached camp 2, several tents were already being pitched. an annex on the hill overlooking the camp had been established to accommodate mount pulag's increasing fame. prior to 2011, i didn't realize there was even an extension. we briefly had lunch in the area and continued with the march towards the saddle. at the time we thought it was the best way to avoid the horde. 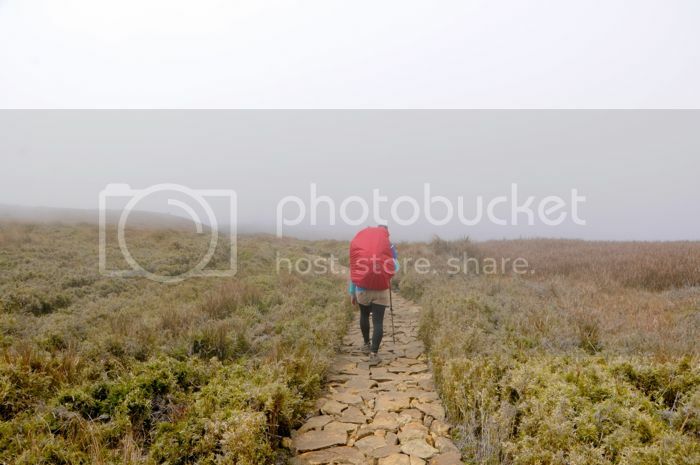 between camp 2 and the saddle is another 2 hours of gently rolling terrain, and although the views here are usually stunning, we were unfortunately accompanied by fog. the bleak views must have affected us severely since most of us were spent and sleepy. we took many breaks along the trail, sometimes dozing off despite the cold. finally, at half past 2, we arrived at the near-empty campsite and pitched tents. we celebrated rather prematurely our ownership of the area, since at dusk, the campsite was suddenly crowded by more than 40 tents shared by an excess of about 120 campers. it was a zoo. after preparing an exhausting but delicious dinner, we began uncorking our poisons and started to gingerly exchange stories. the guides came to remind us about lights out at 9PM, which we were not happy about, until things went out of hand when the other groups converged with ours. 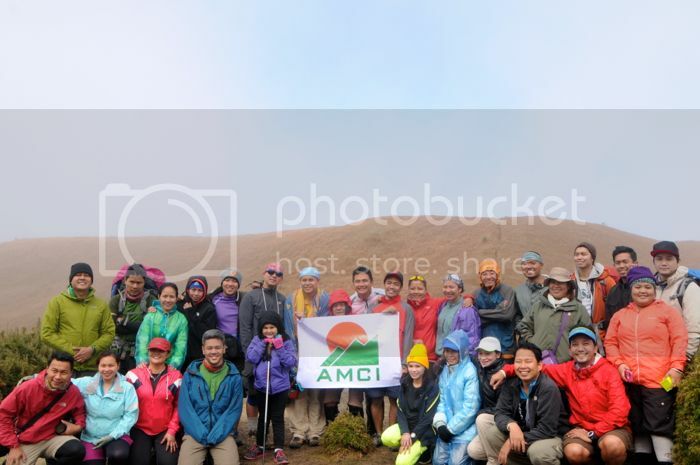 when i joined a non-AMCI climb to pulag 3 years ago, we had the serendipity of pitching camp next to DPWH secretary rogelio singson, who was there to inspect the road (his visit is primarily the reason why much of the way is now covered in concrete). the climb organizers were a bit too happy, and this bit of news he reported to ms. albas, who asked me about it and even threatened to ban the group that created the noise. i was profuse with apologies even though i myself was not responsible. and there i was again trying to referee the volume of our voices. alcohol had turned many of us louder, friskier, and more bold. i was unfortunately far from drunk from the mix of glenlivet and jim beam, and i had the unfortunate task of making sure that those who had too much strange brews in their system remained sane. i'm normally tolerant of very drunk people, but i do not tolerate unsavory language. the 3-degree centigrade weather helped keep my cool. at a little after 10, i put down our kitchen tarp and retired into my tent, although i think i only had brief moments of sleep. despite piling on the layers, my feet were extremely cold, and i was kept awake for most of the evening, hearing the loud rattle of the parawing outside my door. when you have nylon walls, few secrets are ever kept, and noise from several tents away -- even the snore that made me feel envious – could be heard. i decided against walking out at 4AM knowing that a march to the summit would be fruitless, so i finally got out of my tent at 6AM to find the campsite covered in a wet fog. breakfast was already being prepared, and i was mostly useless, walking around, listening in on conversations i was not privy to. just as we were ready to leave, the views around the campsite magically cleared for brief moments that allowed us to take only a few pictures. on the way back to babadak, i dropped my bag to see the summit, where there is this primitive wooden sign that declares that exact spot to be the summit: 2,922 MASL. not a few years ago, a more solid marker, etched in marble, and donated by the metropolitan mountaineering society, stood on the same spot. the mountaineering federation of the philippines (which was then still a force in the community), misguided by some jealous notions that public parks should not have permanent signs, campaigned for the removal of the marker, and they succeeded. i wonder if they'll ask that this ugly sign be removed as well. predicting that no amazing views would be seen despite my stay on the summit, i decided to continue with my trek. 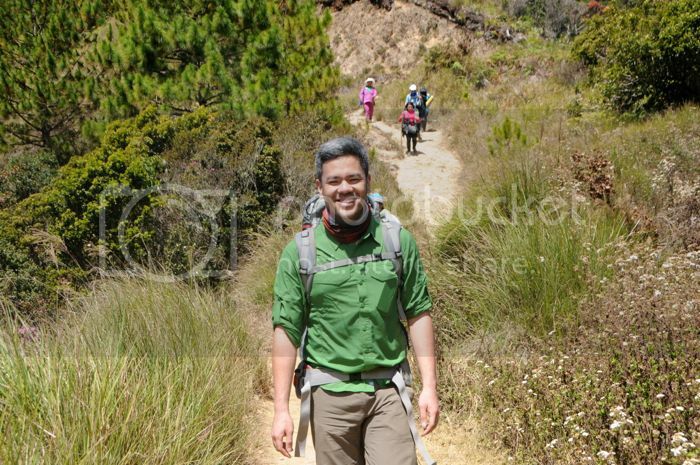 i have been asked a few times when it's best to visit pulag. my answer is unresponsive, in that the mountain is fickle and filled with whimsy. visiting in the summer will not guarantee a view of the sunrise and the sea of clouds, nor does coming during the long wet season doom your climb to fog and rain. all i know is this: it's coldest when the wind is dry. just before reaching babadak, i watched as slow-moving clouds seemed to cascade over the treetops of a distant mountain. it was already noon, and i knew that the lunch we had planned was out of the question, so i ordered pancit canton after a quick bath. there were steady streams of people loading themselves onto jeepneys there. i've never seen so many people on a mountain prior to that day. and they accuse my club of mass climbs. i've been asked why i'm so critical of big crowds. it is because on most days, i am already part of this mindless horde, crossing pedestrian lanes, creating traffic, falling into queues, getting stressed by the long waits for trains and busses. i go to the mountains for escape, because i have this longing to be away. i picked up the sport of mountaineering mainly because it seemed different and far from mainstream. i find it sad that everyone else is doing it because they want to seize the moment, primarily with a cool photo on instagram, a tweet or a status update on facebook about conquest, and a pretentious t-shirt about survival. i will not deny the residents of ambangeg and babadak the right to have better roads and improved access, nor others not so inclined as i am the opportunity to enjoy what i have long known. but if there is anything that i have learned from seeking and being in the outdoors is that building shortcuts to paradise brings with it convenience, but also destruction.